Communism is Answer to Global Warming? 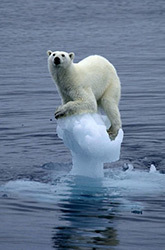 » Communism is Answer to Global Warming? Home / Politics / Communism is Answer to Global Warming? So absolute state control of the economy is going to solve Global Warming? That has fared well for China hasn’t it? First of all the whole subject is being perpetrated and blown way out of proportion to bring about totalitarian state control, and every nation under communist authority is a major contributor to pollution. Sounds to me like the blind leading the blind. Amid all the clamor over global warming, it isn’t often that comments by leading figures reveal their most basic commitments. But the United Nations’ top climate negotiator just revealed hers—again. Three days ago, Christiana Figueres, Executive Secretary of the United Nations Framework Convention on Climate Change (UNFCCC), made it clear that she thinks Communism is the best solution to the world’s climate woes, exposing the political roots of her global warming alarmism. Three years ago, she opened the Cancun climate summit with a prayer to the Mayan goddess Ixchel, exposing the pagan religious roots beneath her global warming alarmism. Unsurprisingly, there’s nary a word about her comments—embarrassing to the cause of global warming alarmism—in the mainstream media—not the Times of London, not the New York[“all the news that’s fit to print”] Times, not the Washington Post, not …. You get the picture.And, so far as I can tell, U.S. Sen. Sheldon Whitehouse (D-RI) hasn’t sought to discredit her by referring to her religious beliefs—as he tried to do to Dr. Roy W. Spencer, NASA award-winning U.S. Science Team leader for the Advanced Microwave Scanning Radiometer aboard NASA’s Aqua satellite, Principal Research Scientist in climatology at the University of Alabama, and a Cornwall Alliance Senior Fellow. 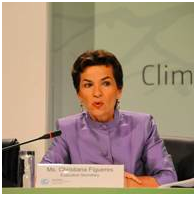 Perhaps Sen. Whitehouse likes social anthropologist Figueres’s views on climate but not Dr. Spencer’s. No, the only original coverage of Figuera’s comments I could find was by Sangwon Yoon in his article “Biggest Emitter China Best on Climate, Figueres Says.” His report on her interview at Bloomberg News headquarters in New York revealed some fascinating—and troubling—things about the political underpinnings of Figueres’s approach to climate change policy. She told Bloomberg China is “doing it right” when it comes to global warming. Why? Well, clearly not because it’s burning so much coal, so inefficiently, that it’s the world’s biggest emitter of carbon dioxide, the alleged cause of global warming. But what’s really important is Figueres’s comments about China’s political system. “China is also able to implement policies because its political system avoids some of the legislative hurdles seen in countries including the U.S.,” Yoon reported Figueres said. Never Mind Democracy—One-Party Rule Works Just Fine! Indeed. It would be so much more convenient if the U.S. just weren’t that clumsy thing called a representative republic with division of powers, checks and balances, and accountability to the people! As Executive Secretary of the UNFCCC since 2010, Figueres labors indefatigably to get the 190-nation body to pass a binding, global treaty to limit carbon dioxide emissions—something it’s failed to do at its last four annual meetings but now hopes to achieve in 2015. Yoon reports that Figueres said in the interview, “Some details, including accountability and compliance, are still to be worked out” in the hoped-for treaty. Right. What she means is nations’ accountability to the U.N. What she doesn’t mean is their leaders’, or the U.N.’s, accountability to free people. Is there a connection between Figueres’s praying to the pagan goddess Ixchel, her admiration for autocratic, Communist government, and her contempt for personal freedom? I think so. They all stem from denying that all human beings are created in the image of God and therefore have rights to liberty and property that governments must not violate. Her thinking is one more indicator that at the real root of the climate alarmist message is an anti-Christian worldview, one that, to the extent that it prevails, will undermine liberty around the world. And it’s one more indicator of how badly millions of people in America and around the West need to learn how Christianity drove the development of just and free societies and can continue to do so.